Fujairah Gold Refinery first to join new DMCC’s Market Deliverable Brand (MDB) initiative Dubai, UAE; 3 February 2014: DMCC, Dubai’s and the region’s global gateway for commodity trade and enterprise, has confirmed the launch of its new responsible sourcing Market Deliverable Brand (MDB) accreditation initiative designed to certify gold and silver refineries (in operation for over one year) for their quality and technical production of gold and silver. 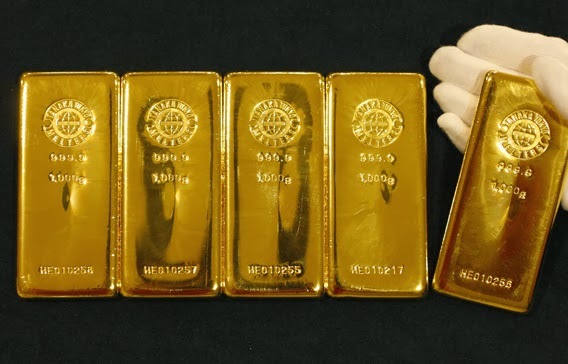 For gold refineries specifically, the certification also includes responsible sourcing of gold bars in accordance with the ‘DMCC Guidance’ and ‘Review Protocol’. “It is important for Dubai, as one of the largest physical gold trading hubs in the world, to give industry participants the assurance that they can trade with confidence knowing that upcoming refineries in the UAE and globally comply with international trade and responsible sourcing best practices. DMCC’s Market Deliverable Brand (MDB) accreditation initiative marks an important milestone as it enables refineries in operation for over one year to ensure their gold is sourced responsibly and that their gold and/or silver production processes are in line with globally accepted best practices to assure quality of their gold and/or silver products. DMCC would like to congratulate Fujairah Gold Refinery for their efforts in becoming the first member of the Market Deliverable Brand initiative for Gold and Silver.” Being the first gold refinery in the UAE to successfully complete the MDB accreditation process, Tarundeep Arora, Head of Operations, Fujairah Gold Refinery, said: “It is the duty of each and every market participant throughout the entire supply chain to ensure gold is sourced responsibly - DMCC’s Market Deliverable Brand (MDB) initiative has enabled Fujairah Gold Refinery to implement these guidelines successfully and they will stand us in good stead as we continue to grow and access new markets in compliance with international benchmarks. ” DMCC has been at the forefront of issuing and implementing guidelines in conjunction with the OECD and other international bodies to promote responsible supply chain management for gold and other precious metals.